Most people’s first contact with astrology is through the horoscope columns that appear in many publications. These are obviously limited, as only the birth sign is considered. However, even here some astonishingly accurate predictions are possible. Space is usually very limited in these columns, and I have noticed that many astrologers use up that valuable commodity with complex and unnecessary technical jargon. I firmly believe that more can be said if this jargon is not included. After all, many of the readers of the horoscope column don’t fully understand the jargon, and get more benefit from facts than meaningless words. ‘What Is Astrology?’ can be answered much better by considering how personalised horoscopes are drawn up . Fuller and more personal horoscopes are drawn up using clients’ personal birth details, including their date of birth, place of birth, and, whenever, possible, their time of birth is also used. With these details, a map of the sky at the time of the client’s birth can be drawn (Natal Chart). With this in place, all the planets and their affects can be considered. So, in essence, astrology is a method of learning more about a person by considering the positions of planets, their effects on one another and on the individual a chart is drawn up for at the time, date and place of their birth . What is Astrology Really About? So what is Astrology really all about? Astrology is not a tool of fate; it doesn’t rule your life and it’s meant to be used as a guide. With this in mind, no astrologer worth his or her salt would dream of telling a client that, on such and such a day, they would break their left leg! However, it is a valuable tool for predicting possible trends. So a more likely forecast would be to say that, over a particular period, the client could be accident prone. What is Astrology useful for? The main areas that astrology can be of use to an individual are in learning to know oneself better. Most people believe that they know themselves, but of course what we think we know is heavily influenced by our self-deceptions as to how we would like to be. Astrology is very accurate in judging ones’ personality because it is a mathematical science and does not rely on these self-deceptions. So, considering this, what is Astrology going to show you? You may find much in an astrological profile that you recognise, but equally some things that do not at first glance appear to be true. If, however, you take time to analyse a reading, you will often realise that some of these apparent mistakes are indeed accurate, and are simply parts of the personality that you have tried to hide. Astrology is of great use in analysing the future growth and development of children. It can help greatly in explaining to parents how best to communicate with their offspring. You may well ask: ‘Exactly what is astrology going to teach me about my child?’ Well, for starters, you can learn what their interests could be, tell how they will make friends and even see what careers will be of interest. Astrology can also very accurately foretell the degree of success that children are likely to experience in different areas of their life, thus helping to prevent parents from unnecessarily forcing their own expectations on their children. What is Astrology Not Supposed to Say or Do? Astrology reports should never categorically say “Cancerian’s and Leo’s should never marry”. A good astrological report would be far more likely to explain possible areas of conflict, and also suggest other aspects of life together where they might be more settled. Composite relationship reports are of great use both in the early stages of a relationship, and also later on when things are somewhat settled. Directions could be pointed to that could bring growth and even greater fulfilment. So what is astrology not supposed to be used for? Astrology should never be used as a means of deciding whether to continue or start a relationship with someone, but is an invaluable tool in helping the growth and fulfilment of a relationship. Astrology should always be treated as fun. It does not dictate the future, but it does provide a valuable insight into personalities and the potential paths that people are most likely to travel. It is a surprisingly accurate science which has, over several thousands of years, intrigued and mystified civilisations. In the 21st century, science is growing in its areas of understanding at an astonishing rate. No one at present can categorically say why Astrology works, but hopefully this will come soon. Until then, all that you can rely on is that, if you can provide accurate birth details, the results can be amazing. You can get your own astrology report prepared using your own unique birth details! Choose from my wide selection of reports, including character profiles, monthly and annual forecasts (Horoscopes), relationship analysis and even a report specially designed for the young (from 6 months to around 16 years). 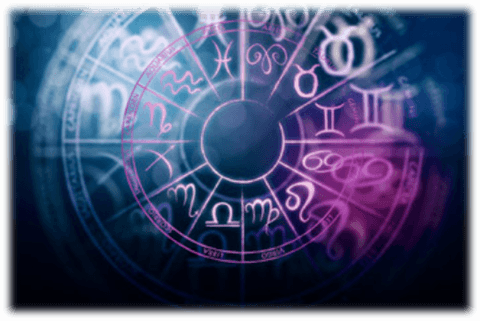 Make your choice at my Astrology Reports page and order your report today. Payment can be made securely through PayPal using your credit or debit card.